A safer, more secure way to work on your intrument for DIYers. Forget using a pillow or your lap to support your string instrument while you work. MusicNomad has developed a better way to work on your string instrument. The 5-in-1 Cradle Cube neck support is made of an innovative soft gel material to gently yet fully support either side of the neck. 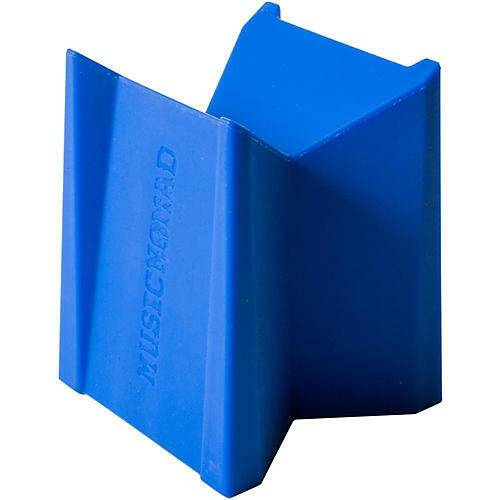 With five varying heights and angles, it works great for all string instruments”acoustic guitars, electric guitars, ukuleles, violins, banjos, mandolins and more. Safe on all instrument finishes, our Cradle Cube helps you change strings quicker and do repairs and maintenance in a secure and sturdy way. If you're going to put in the work, make sure you're doing it smarter, not harder. Order the Cradle Cube today!